TheWrap’s Party Report will be updating throughout the weekend. 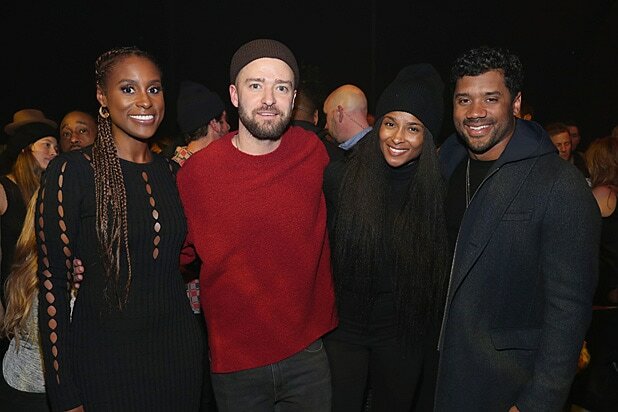 Hollywood stars and NFL icons unite this weekend at the countless parties and A-list events leading up to Super Bowl LII in Minneapolis, Minnesota. Even the temperatures dropping below freezing and snow lining the streets couldn’t slow down the Super Bowl party train, as thousands of fans and a horde of stars invaded Minneapolis. The private, extremely VIP event was held at Prince’s Paisley Park estate, which features a museum dedicated to the late pop icon. Unfortunately, guests couldn’t Instagram snaps of their favorite Prince memorabilia, as all cellphones were checked at the door in case the album footage was leaked online. 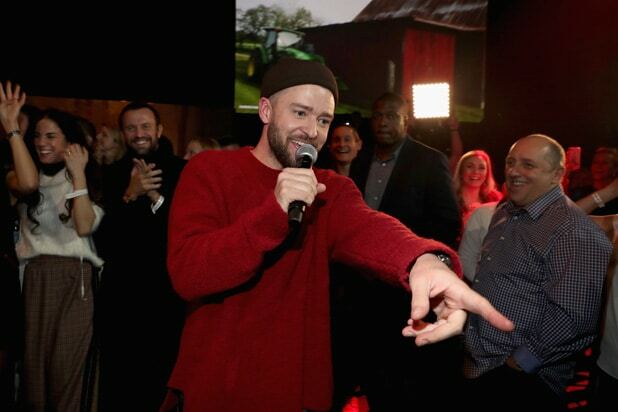 The strict security was well worth it when JT himself came out on stage to introduce his latest work of musical art at the American Express x Justin Timberlake “Man of the Woods” Listening Experience. Along with seeing the Super Bowl LII halftime performer in person, guests also got to enjoy a fully immersive listening experience that served as a complementary layer to the full-length LP. The full-sensory experience also included a curated vegan menu, vinyl making station, silk-screen t-shirt printing and even a make-your-own scent station. 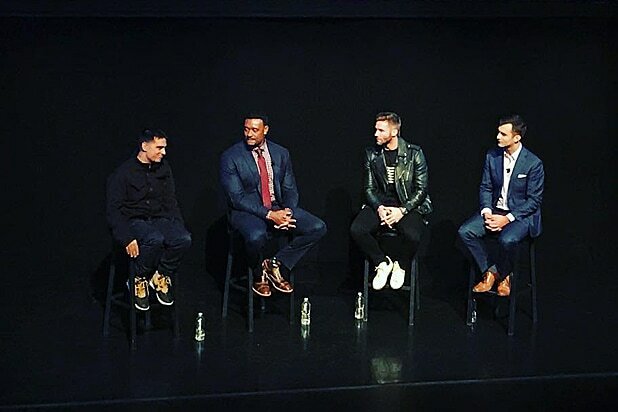 The crowd itself was like a who’s who in sports, with Dallas Cowboys coach Jason Garrett spotted chatting with NFL great Emmitt Smith and current TE Jason Witten; Kurt Warner was the life of the party, while Russell Wilson enjoyed a performer on par with his wife/date, Ciara. The Wrap got some fantasy football tips from ESPN’s Matthew Berry, and learned wrestling moves from WWE Superstar Mojo Rawley. 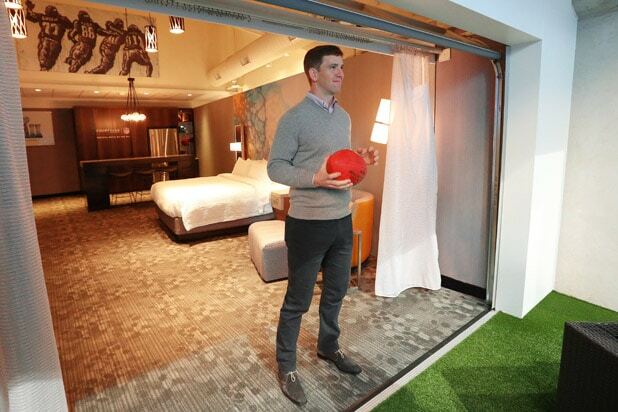 While he’s broken the hearts of Patriots fans in two Super Bowls, Eli Manning was making their dreams come true on Friday when one lucky couple won the opportunity to sleep inside U.S. Bank Stadium thanks to the Courtyard Super Bowl Sleepover competition. When asked if he’d ever slept in a stadium — accidentally or deliberately — the QB admitted he hadn’t, and he’d be pretty scared to do so! He did assure New Yorkers that he plans “to be playing for the Giants next season,” despite reaching coaching upheaval with the team. It was actually Eli’s big brother, Peyton Manning, who told die-hard Denver Broncos fan Courey Marshall that he was the lucky winner of a night in the field-level stadium suite and two Super Bowl tickets. Courey said he considered bringing his cat as his +1 but wisely opted for his wife instead. Those not lucky enough to win got to experience the Courtyard 4D VR Dome located inside Mall of America, letting you get a glimpse of what it’s like to be playing in the big game itself. 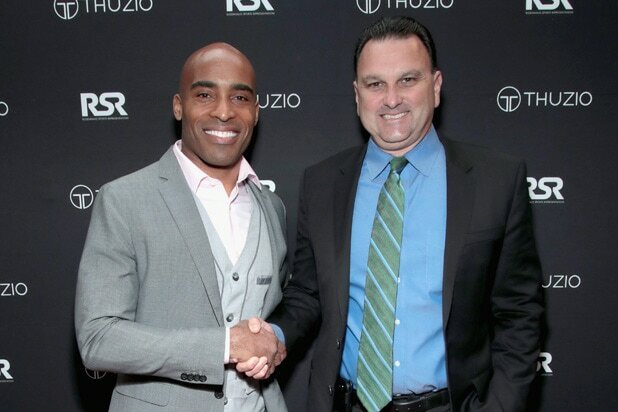 Later that night, Tiki Barber and Drew Rosenhaus hosted the Thuzio | Rosenhaus Party at Exchange and Alibi Lounge downtown. Countless clients and friends of the uber sports agent and former NFL star gathered to kick off the weekend and bid for autographed sports memorabilia. While Rob Gronkowski was resting up for game day, his entire family took over one table with WWE Superstar Mojo Rawley. Also spotted were De’Vondre Campbell, Tyreek Hill, Brandon McManus, Jonathan Ogden, Matt Stover, David Meltzer, John Brenkus and ESPN’s Matthew Berry. One of the hottest parties on a cold Friday night was the Rolling Stone Live: Minneapolis (presented by Mercedes-Benz and TIDAL) as MIGOS, 21 Savage, T-pain and DJ Cassidy all took to the stage at the International Market Square. The multi-level venue offered up countless “front row” viewing spots, which also meant that discreet celebrities could hide away from prying eyes. 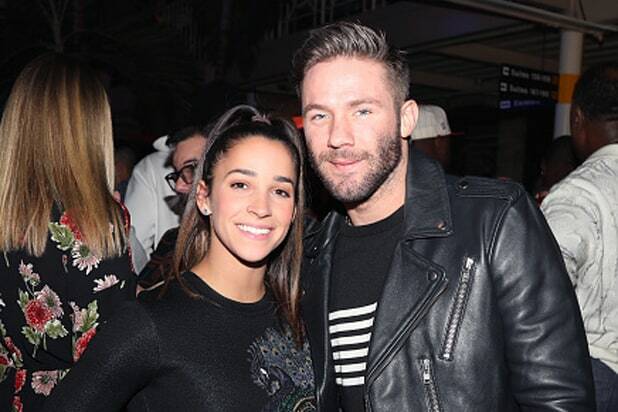 Baltimore Ravens veteran and ESPN analyst Ray Lewis caused a stir when he walked through the crowded dance floor, while Patriots wide receiver Edelman made the most of his night off by hanging out with Bostonian Olympian, Aly Raisman. 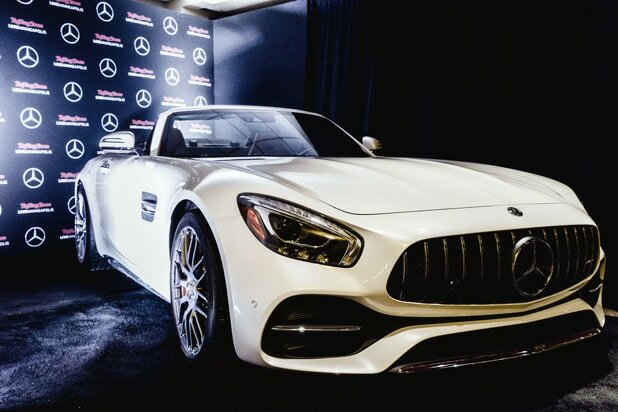 However, the real celebrities of the night were super cars Mercedes-Benz 2019 G 550, Mercedes-AMG GT R and Mercedes-AMG GT C Roadster (below), which all provided elegant Instagram fodder for selfie-snapping guests. A few miles away, the 15th Annual “Leather & Laces” extravaganza hosted by Donnie Wahlberg and Jenny McCarthy (donning a new blue hairstyle) was kicking off. 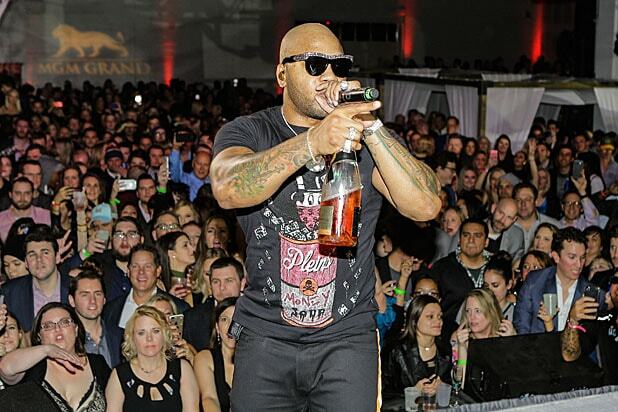 Flo Rida amped up the energy with a riotous set that sparked a dance party on stage between the Gronkowski brothers, Mojo Rawley and countless partygoers. Beautiful Cirque du Soleil-style dancers swung from the ceilings, as the crowd feasted on Wahlburgers (what else?!?) and Flo knocked back champagne straight from the bottle. Saturday in Minneapolis belonged to Jennifer Lopez! 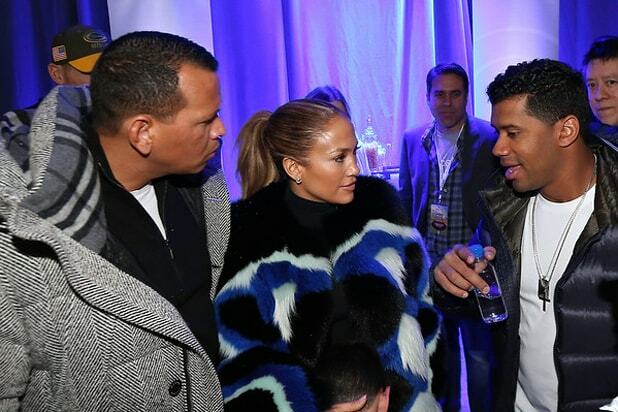 First off, the “Jenny From the Block” singer attended the Wheels Up Super Saturday Tailgate to support boyfriend Alex Rodriguez, who showcased a number of companies he invests in there, including Ice Shaker and Tru Fusion. The power couple met a slew of other stars including Russell Wilson, Keegan Michael Key, Guy Fieri, and Julian Edelman. Private jet company Wheels Up no doubt did big business with VIPs flying into Minneapolis, and hundreds of their members attended the daytime bash at new event space Quincy Hall. While guests chowed down on hearty chili and football-shaped pretzels, ESPN’s biggest donut-eater Mike Golic got to hang out with celebrity chef Guy Fieri. Fellow former “Mike and Mike” host Mike Greenberg also made an appearance, as O.A.R did a surprise musical performance on stage. Check out the video below to see what really went on! Come Saturday night, it was J-Lo who was on the stage at the DirecTV NOW Super Saturday Night presented by AT&T at the Armory. Not only were guests treated to a full Lopez concert with a special appearance by DJ Khaled, but they also got to venture into a virtual trip through a Puerto Rican rainforest in honor of AT&T making a $1 donation to the hurricane recovery effort (of up to $200,000) for every posting of the hashtag of #JLONOW. While J-Lo performed hits including “Waiting for Tonight,” “On The Floor” and “I’m Real” while doing multiple costume changes — such as wearing a Number 13 jersey to represent A-Rod’s Yankees career — VIP rooms were packed with A-list stars. One suite was home to both Peyton Manning, Eli Manning, Dak Prescott and Tim Tebow, while others hosted Vanessa Hudgens, Miles Teller, Mira Sorvino and Jamie Foxx. Oh, and Alex Rodriguez, of course. Also on Saturday, the Maxim Party brought glamour to downtown Minneapolis courtesy of super-club E11EVEN MIAMI. The star-fueled annual bash always pulls out all the stops as Post Malone, Marshmello and Cardi B entertained celebs such as Odell Beckham Jr. and Migos. Produced by Karma International — the team behind Maxim’s annual Halloween extravaganzas — the Super Bowl party was sponsored by Captain Morgan, Bud Light, Belaire Champagne, Phantom, blu and Altec Lansing. While most people in town only had eyes on the game by Sunday, StubHub was still in the mood to party at their Field House pre-game tailgate at Target Field hosted by Maria Menounos. 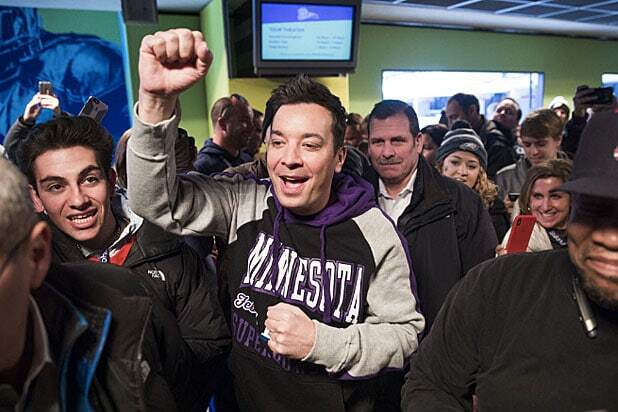 Even Jimmy Fallon popped in to shoot a segment for the “Tonight Show” — diplomatically wearing a purple Minnesota jersey — as he entertained fans picking up their StubHub tickets. As for Menounos, the diehard Patriots fan wasn’t hiding her allegiances as she led a rendition of Queen’s “We Are the Champions.” Sadly, by the end of the day, the Patriots were no longer the champions — and that honor now goes to the Philadelphia Eagles.